Happiest of Christmases to you all, my crafty little elves! For today’s post, I wanted to focus on the fact that many of us will be spending time with family. And sometimes that family includes children. Children can become bored very easily. 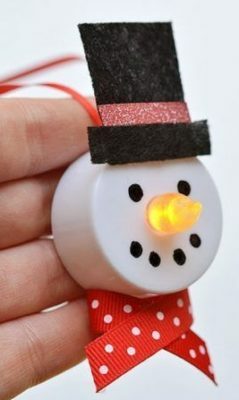 So I thought I would share a number of fun and easy craft projects that are fun for children and adults alike. 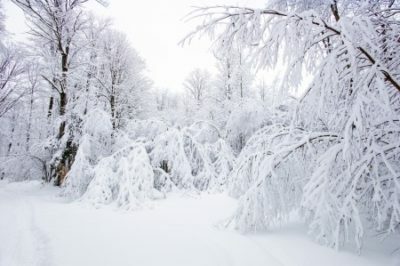 Since not everyone celebrates Christmas, this post will focus on SNOW! Even if you live in a place where snow isn’t prevalent, this fluffy white stuff has sort of become synonymous with winter. Snowmen, snow ice cream, snow angels…Snow can be so much fun! These crafts all feature snow (fake, not real. Real snow crafts wouldn’t hold up indoors too well). 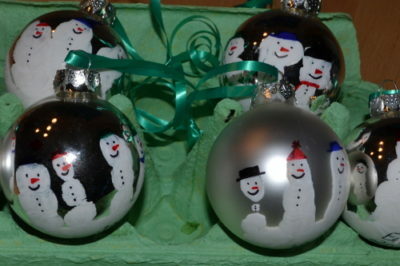 These little snowmen ornaments are not only easy but they are not just your run-of-the-mill ornament. 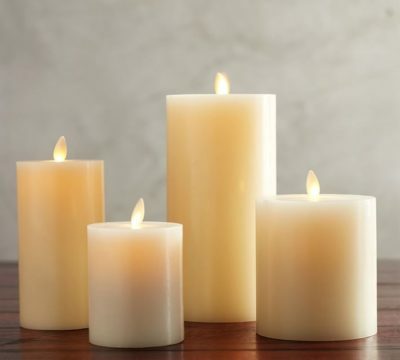 By using tea lights, your ornament helps light your tree as well. Find the simple instructions on how to make these adorable little guys here. This project will be sure to get the kids excited because it’s MESSY. I mean, come on, what kid wouldn’t want to get paint all over their hands and then touch things that they normally wouldn’t be allowed to touch? This one is simple and cheap and the instructions can be found here. Not all ornaments have to go on the tree. These snowflake ornaments can be hung in windows or around the house from ceilings and in doorways to make it look like a winter wonderland inside as well as out. 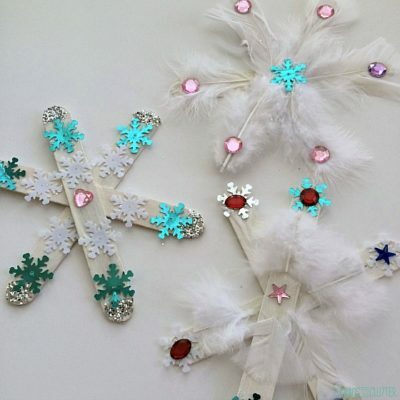 Sharla over at The Chaos and the Clutter lays out a beautiful and instructional blog post on making popsicle snowflakes here. There are a ton of easy, inexpensive ways to have fun with kids. And the internet is just full of people willing to share those ideas. I also recommend checking out the sites I linked above. These bloggers are fun and informative and may just help inspire you in your next crafting adventure. Stay snowy, Crafty Hackers! And Merry Christmas!